Astronomical health care costs and lack of access continue to drive individuals, families, and businesses past their breaking point while insurance companies continue to soak-up billions of health care dollars as millions of children’s basic needs go unmet. Medicare has provided guaranteed health care for millions of seniors for more than 51 years. It’s time we have a Medicare for all, single-payer health care system that would end health disparities, effectively control costs, and assure that everyone has equal access to an excellent standard of care. Seventy percent of people in this country support Medicare for All. In 2018, 70 congress members formed the first Medicare for All caucus to make health care a reality. Medicare for All can only be achieved through a broad based grassroots campaign. Join us to replace this broken profit driven system with a health care system that serves us all. Click/tap on pins for specific event details. We need you! 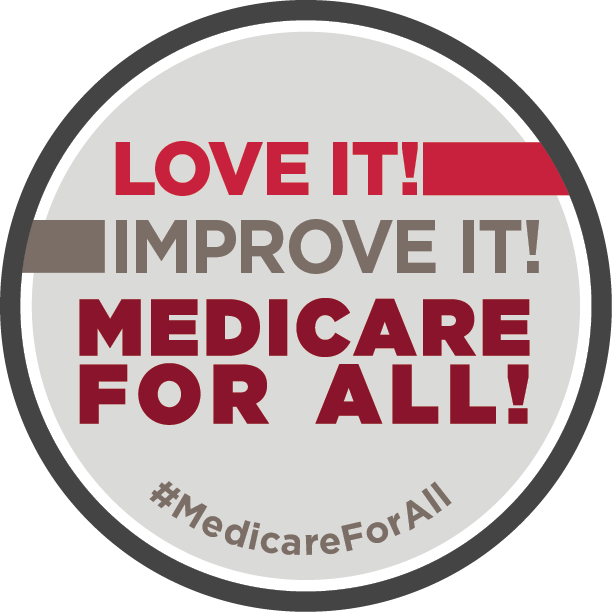 Connect with local actions and events, outreach to legislators, and educate your community about the campaign to win Medicare for everyone.